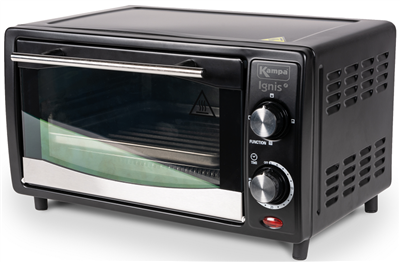 The Kampa Ignis Mini electric oven is suitable for a caravan or as part of a Kampa camping kitchen setup. Cook all your favourite recipes on site with this mini electric oven. Featuring a 10 litre capacity and the option to toast, grill, bake or roast the Ignis is perfect for those needing a small oven for their camping trips. Fitted with a UK plug.